The grocery chain Whole Foods has come under fire of late for a pilot program to sell rabbit meat from domestic breeds in its stores. Activists have been protesting outside of several locations across the country, and gaining attention from customers as they do so. One Change.org petition calling on the company not to sell rabbit meat has already gained over 13,000 signatures. The company, which has been staunchly against animal testing for its cosmetic products on rabbits and other animals since its inception, is vocal about the animal welfare standards its rabbit suppliers are supposed to adhere to. The welfare-focused standards we developed at Whole Foods Market, are designed around their instinctual behaviors and include more than 75 species-specific requirements that ensure the overall health and well-being of the animal. As the Daily Beast points out, eating rabbit is nothing new in the U.S. - it goes back to the days of WWII, when it was considered a "patriotic food." 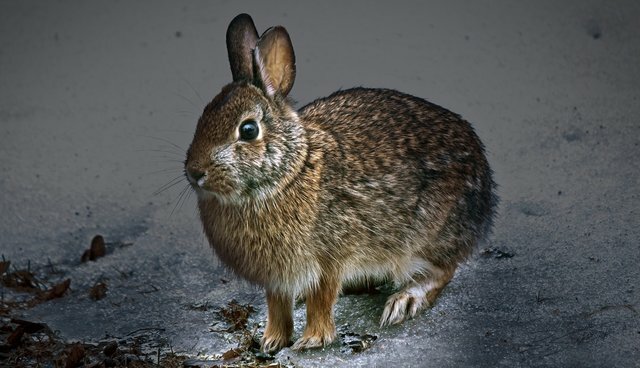 Now, the demand for rabbit meat is small, and more of a niche item. Whole Foods Market is sensitive to the companion animal issue and we understand this product won't appeal to everyone. However, for those customers who have been asking us to carry rabbit, it's our job to make sure we offer the highest-quality product from responsible sources. A number of shoppers have been asking Whole Foods Market to carry rabbit for years but conventional raising practices do not meet our rigorous animal welfare standards. To meet our customers' requests for rabbit we needed our own set of animal welfare standards, and these rabbit welfare standards are a direct result of a rigorous four-year process to address the welfare issues in rabbit production. As we have done in the past, our hope is that our high standards will be a model for industry change." But activists from the House Rabbit Society allege that those standards may not be as stringent as they appear. Because rabbits are not covered under the USDA's Humane Methods of Slaughter Act, they (like poultry) don't have to be stunned before they are slaughtered, meaning death may be painful. And when slaughterhouses do choose to stun the animals, they often do so by breaking the animals' necks, a method that isn't foolproof. Activists argue that a chain like Whole Foods, famous for its lean towards sustainability, should push for new meat alternatives, rather than introduce new types of meat to its customers. The more we learn about what must happen for even the most "humane" meat to come to your counters, it becomes harder and harder for you to uphold your reputation as a forward-thinking organization. Why not highlight the radicalism of your vision by recusing yourself from an industry that is defined by obscurity, animal exploitation, and the perpetuation of unhealthy food? These qualities, after all, stand in stark contrast to the organizational values that you espouse.